Strengthening family ties within the home system. - A house or apartment where 30 children living accompanied by an “aunt or mother”. A space where is created a favorable environment to develop and grow the deepest feelings of the human being: love, solidarity, truth, justice and equity. Education.- the orphanage believes that education is a basic and fundamental element for achieving the objectives for this reason the orphanage creates a basic school of 7 grades, which is attended by children from the home and children of families living in the neighborhood of orphanage; the approximate number is 130 to 140 students. The principal aim of the school is to develop the intellectual abilities of children. Productive technical training. This line ensures young persons to discover their spiritual physical-intellectual-psychological qualities and can freely and responsibly decide their productive contribution to society, that’s why the orphanage has implemented some laboratories such as agriculture, bakery, making uniforms, carpentry, etc. 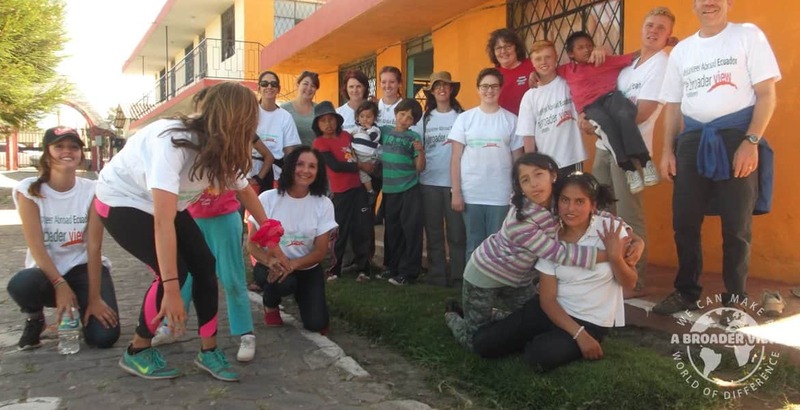 Volunteer will help organize recreational activities, support the kids with homework help, encourage and teach the importance of hygiene, daily life skills and doing their daily chores at the home. There is a large garden that the children use to plant their own vegetables. This has proven to be very successful with the children and youth because they take pride in what they have planted and are always eager to learn how to improve them. Transportation: by bus from the host family is 50 min US$1.50 or by cab from the host family is US$20 round trip (40min). Spanish speaking volunteers are preferred. US$100 per month donation for the project site added to your program fees. Flights to Quito. Visas and/or entry-exit fees. Vaccinations. Local Transportation. Travel & Health Insurance. Laundry and Internet. Orphanage Donation: US$100 per month added to your ABV account.